Offering you a complete choice of products which include set accelerator plasticizer. To fulfill the diverse requirements of our valuable clients, we are engaged in offering a comprehensive range of Set Accelerator Plasticizer. The offered accelerator plasticizer achieves the setting time of mortar & use for repairing the breaches in Canals. This accelerator plasticizer is available in seal packed packaging in order to ensure its purity. 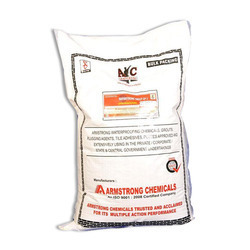 Moreover, customers can avail this accelerator plasticizer from us at reasonable rates. Looking for Set Accelerator Plasticizer ?